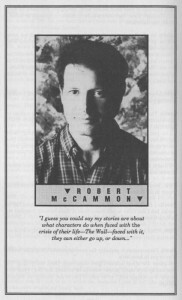 Robert McCammon » "The Work of Robert R. McCammon"
"The Work of Robert R. McCammon"
Editor's note: This article originally appeared in the book How to Write Horror and Get It Published, edited by Marc A. Cerasini, and published by Romantic Times, Inc., October 31, 1989. It is reprinted here with permission of Romantic Times BOOKclub (www.rtbookclub.com). Robert McCammon ("Rick" to his many friends and acquaintances) is gracious, soft-spoken and genteel—the perfect Southern gentleman. Not at all the image that might immediately come to mind about the author of such highly acclaimed horror novels as Swan Song, Usher's Passing, They Thirst, and Blue World. But Mr. McCammon has in recent years carved a niche for himself in the highly competitive world of horror fiction. Robert McCammon broke onto the horror scene in 1978 with his first novel, Baal. That was immediately followed by what McCammon refers to as his "breakthrough novel," Bethany's Sin. "I was living with my grandparents and doing advertising copy for a department store. A dead end, soul-destroying job. I had attended the University of Alabama, majoring in journalism, but there were no jobs in my field." McCammon was born in Birmingham, Alabama, in the mid-1950s, and his post-college homecoming (and living with his grandparents) was less than he expected. He turned to writing as a creative outlet. He also admits to have been "impressed with Stephen King's work. Perhaps even inspired by it." His hobby paid off. "I did quit my job after Bethany's Sin, to write full-time." And write he did. After Bethany's Sin he wrote The Night Boat and a full-blown modern vampire novel, They Thirst. Following the success of those two novels, Robert McCammon moved on to the "big leagues"—the hardcover market. Two novels followed, both published by Henry Holt: Mystery Walk (1983) and Usher's Passing (1984), an imaginative and original sequel to Edgar Allan Poe's "The Fall of the House of Usher." Though hardcover publication was soothing to his writer's ego, McCammon found that it was no guarantee of success. Holt did not promote these novels at all and, though beautiful works, they languished and died in hardcover. It was then that McCammon discovered something about himself that many authors learn sooner or later. "I realized that I was more concerned that my books be read than by the form in which they come out. That's why I am very happy at Pocket. They have given my books wide publication and they helped me find a whole new audience." Indeed they did. When Pocket decided to gamble on Robert McCammon, both they, and he, did it in a big way. Swan Song (1985) was the major hit of McCammon's career—a successful novel that propelled him onto the bestseller lists. Swan Song is an apocalyptic novel about a horrible nuclear war and the evil that stalks the postwar landscape. This novel had a huge cast of characters from all walks of life, from presidents to paupers. These common, all-American types people McCammon's early works, but are never handled better than in Swan Song. Another of the reasons for the success of Swan Song may be that with it, McCammon finally solidified his hold on his writing "voice" and his personal vision which was to come to infuse all of his subsequent work. "I guess you could say my stories are about what characters do when faced with 'The Wall.' When an individual comes face to face with the crisis of their life—The Wall—they either go up or down. Many of my characters become bigger than they were, they grow. "I try to offer my readers something more than mere entertainment. I give them a positive experience, a sort of reward for all the horror and unpleasantness that they had to read through to get to the end. I want the reader to feel good about himself when he closes the book, I want the audience to have learned something, or felt something." 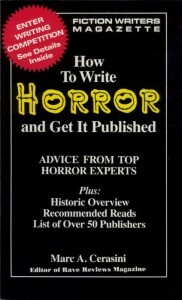 This humanistic approach to horror writing came to fruition with the character of Sister in Swan Song. "Here she was," remarks the author, "a bag lady, as low as she could possibly fall—but in essence she ends up saving the world!" Sister did indeed become "bigger" than she was before—no one is beyond redemption in the fiction of Robert McCammon. Bestseller success was not a smooth road for Rick, despite the financial rewards and independence that came with high sales and a name that suddenly spells success. 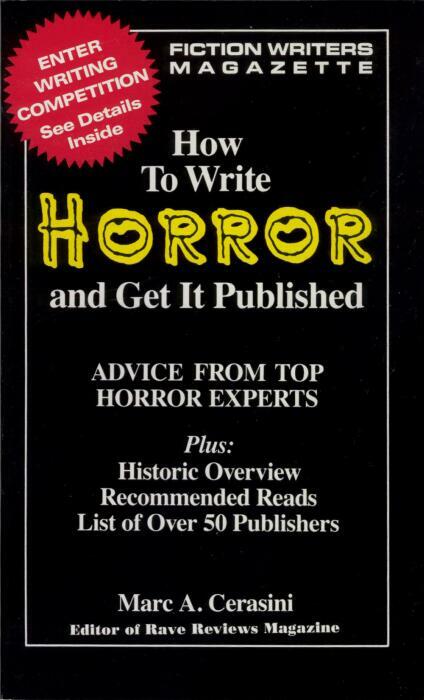 One thing he had to live with were the inevitable pitfalls of writing horror in The Age of Stephen King. McCammon feels that King's influence, which still dominates all horror fiction, is a double-edged sword. "On the one hand, Mr. King really opened up the horror genre in this country, and that's good. But King's presence is so overshadowing today that anyone writing horror fiction is automatically compared to him. "I admit that I was consciously influenced by King's work with my first few novels—and being compared to Stephen King is flattering, but sometimes the comparison just isn't valid." Comparison to King is just one of the many barriers to be overcome when attempting a career in horror fiction, but it is one that can even carry over to individual works as well. Nor is this sort of comparison the sole domain of horror critics and reviewers. "I remember when I was writing Swan Song, I told an acquaintance about the story, saying that it was about a nuclear holocaust and what happens to the survivors. That person's first remark was, 'Oh, like The Stand.' I thought to myself, 'Hey, wait a minute, there was no nuclear holocaust in The Stand ! Contrary to popular belief, Stephen King did not invent the apocalyptic novel." About that all-purpose, generic item generally referred to as "the horror novel," McCammon reflects that being labeled a "horror author" is actually "more of a marketing ploy than a rule of literature. I think of myself as a cross-over author. To me, the story is more important than any sort of classification a publisher can put on it. I like to mix and mingle genre conventions, rather than stick to the tried and true, more traditional forms." This preference for the unusual mixture of genres is evident in Rick McCammon's next two works. Stinger (1988) a conventional science fiction/horror tale in the mode of a 1950s potboiler, but with many unique characterizations and twists in the plot that would spin the head of even a Rod Serling. It tells the story of two alien races who use a tiny Texas town as an intergalactic battleground in a struggle that will decide the fate of a thousand worlds. The American gothic setting of the post oak desert country of central Texas was chosen by McCammon because of its "harsh, empty environment," and in his hands such a wide open country actually becomes "claustrophobic." As McCammon sees it, "there is simply nothing (in the desert) for individuals to react to—nothing but other people. The climate is uncompromising and harsh—even dangerous. There is no forest, no mountain, there is nothing to hide behind, therefore the characters must face themselves. They have to grow, or perish." Into the heady brew that was Stinger, McCammon threw in rival motorcycle gangs (white and hispanic), a crooked sheriff, a sleazy used car salesman, a gentle alien creature inhabiting the body of a little girl—and a couple of monsters from outer space. This bunch of human malcontents had to learn to work together to survive a threat that was bigger than all of their petty squabbles. Horror as prophecy, perhaps? Or is it horror as social commentary? Mixing and matching genres for (hoped for) crossover success was the formula Rick McCammon again turned to with The Wolf's Hour (1989). This werewolf fantasy features a dashing James Bond-like protagonist named Michael Gallatin. Gallatin is a top-notch spy with the British secret service during the dark days of the Second World War, but only his immediate superior knows Gallatin's secret—that this agent can, at will, transform himself into a wolf. The Wolf's Hour has all the romantic suspense and beautiful femme fatales one would come to expect from a spy thriller, but the added dash of horror (lycanthropy) makes a big difference. McCammon had juggled three separate genres and come up with a winner! The Wolf's Hour was a success, and the author found it personally successful in one surprising way. "You know you've made it as a writer when this happens. On the cover of The Wolf's Hour, my name is actually above the title! That's the very first time that has ever happened." Research is invaluable when attempting anything that resembles a historical novel, and Rick admits to doing his share for this novel. "I've always been a World War II buff, and doing research for The Wolf's Hour was sheer pleasure. I can honestly say writing it was the most fun I've ever had as a novelist." But the author didn't only juggle the genres, he transformed them as easily as his protagonist turns into a wolf. "Most werewolf novels portray the lycanthrope as a beast of destruction. There's nothing wrong with this approach, but it wasn't what I wanted to do with the concept. I have read some of the other werewolf novels...Guy Endore's The Werewolf of Paris and Gary Brandner's The Howling to name only two. I enjoyed these books, but they didn't answer the questions I had posed to myself. "How does a man become a werewolf? How does a werewolf live? How could a werewolf struggle against his animal self to become a positive force, not a negative one? "I created Michael Gallatin to answer these questions." McCammon's werewolf is portrayed as a noble warrior in the struggle against Nazism. The protagonist was a self-divided creature, a sympathetic and complex anti-hero who was darkly compelling despite his danger, and the whiff of tragedy about him—the perfect romantic hero of the Byronic mode. A kind of modern Dracula. The device of portraying the monster as a tragic anti-hero has been used in vampire fiction since Bram Stoker's classic was set to paper, but never before has this been tried with a lycanthrope. McCammon, with The Wolf's Hour, attempted to cover new and untrodden psychological ground. "Making the werewolf into a romantic lead took a lot of thinking. I wanted to show the creature as a doomed anti-hero, struggling with a beast within. I thought about it a long time before I started writing." To shore up the story and make the illusion more powerful and effective, Rick McCammon wisely utilized a series of believable and fascinating "facts" about werewolves. "For instance," the author tells us, "as a wolf, Michael Gallatin ages as a wolf—so the longer he remains in bestial form, the faster he ages. Another werewolf in the novel suffers and dies from a bad case of worms, contracted from eating contaminated meat." Such touches add credibility and are invaluable tools to reinforce the logic within the work of fiction. According to McCammon, the horror genre has remained fundamentally the same for generations. "First, you've got to have a story. Then you can throw in the kinks, change the direction a little, make it new and interesting. But you must start with the story." And, he adds, "Don't worry about how your work is classified." McCammon acknowledges that each individual writer must go about writing his or her own way. For him, what works best is thinking ahead. "I usually think three books ahead, mentally. I let the ideas simmer and boil, and when I finally sit down to write it, I find it comes much easier. I no longer use an outline. I do chart the 'signpost scenes' to help me keep the plot on track, but I find it is much more fun to write without a solid outline. "I find that when I do an outline, it takes some of the surprise and joy of writing away from me, and I know that can affect my work and the enjoyment of my readers as well. As clichéd as it sounds, characters do take on a life of their own, and some characters are quite strong—they would defy any outline I have set down for them anyway." Look for McCammon's Blue World (1989), a collection of short stories, and his 1990 release The Address—about a house in Hollywood and what goes on there between the years 1919 and 1991. "I researched the founding of Hollywood, how it came to be the movie capital of the world, and the silent movie era during which much of the story is set. This novel is unlike anything I'd ever done—and that's just the way I like it. I just don't like to do the same thing twice." About his craft, Rick McCammon admits that despite the hard work "the best thing about my career is that it solves any problems I may have with boredom. I get to create a whole new world every nine months or so—a whole world filled with new people, people I created myself. There is nothing like that feeling."